Is the white supremacist movement expanding? Turkey’s President Recep Tayyip Erdogan described the terrorist attack on two mosques in Christchurch as the tip of an iceberg. We will learn more about the perpetrator’s motives when he appears in court— if he talks. It is difficult to know if the attacker will release information that will help to reveal the size of this iceberg. Looking at the places he recently visited, his mind seems to be focused on the inter-faith clashes between Islam and Christianity. He visited almost every major battleground and site of military confrontations between the two religions. In a 74-page manifesto posted before the shooting, the murderer said that he had planned the attack roughly two years in advance, which explains to a certain extent why he visited these places. He also mentions that he was inspired by the Norwegian mass killer Anders Breivik. Another common point between the two murderers is that they committed their crimes in countries that have a reputation for peace and stability. This explains the reason for choosing such countries. The murderer referred to US President Donald Trump as a “symbol of the renewed white supremacy.” Trump reacted to the murder only by expressing sympathy for the victims, in other words, without saying anything about the murder and the murderer, and said “white supremacy is not a rising danger.” On the other hand, the US Justice Department documents prove that white extremism is on the rise. The murderer painted on his submachine gun the names of the battlegrounds and the Christian leaders who fought the Ottomans. One of the ironies of the Christchurch massacre is that despite the killer’s references to Turkey as an enemy for more than seven centuries, there was no Turk among those killed. Three Turks were wounded in the incident. Erdogan, as the sessional chairman, convened an open-ended meeting of the Organization of Islamic Cooperation’s executive committee. Despite the limited scope and short notice, 71 countries and institutions were represented at the meeting, 17 at the ministerial level. The meeting’s final communique voiced concern at the rise of racist terror around the world and urged the UN High Commission on Human Rights to set up a council to monitor religious hatred, hostility and violence toward Muslims. New Zealand’s Prime Minister, Jacinda Ardern, deserves praise for her handling of the situation. She went far beyond verbal condemnation and expressed genuine sorrow of those who lost loved ones. 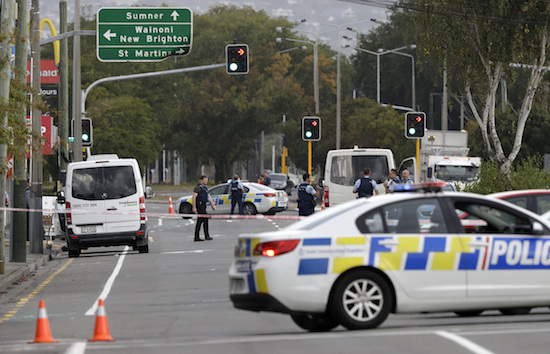 Ardern responded as any responsible leader should with steps that included a review of New Zealand’s gun laws — a move that the US has ignored despite frequent shootings at schools. She gives every sign of a determination not to let this incident be forgotten and, as a result, has won the admiration of the international community. It is an additional source of regret for Turkey that such a mass murder was perpetrated in a country like New Zealand since Australia and New Zealand enjoy special friendly relations with Ankara as a result of the Dardanelles conflict of 1915, a war that united the countries rather than alienating them. Australia and New Zealand regard the Gallipoli fighting as the starting point of their nationhood consciousness and commemorate April 25 — the day of the landing — as Anzac Day to remember those who lost their lives in the fighting. In a 74-page manifesto posted before the shooting, the Christchurch murderer warned the Turks not to put their foot in Europe and also threatened Erdogan. The Turkish leader retorted with rhetoric that was harsher than necessary, but tension eased after Winston Peters, New Zealand’s foreign minister, visited Ankara. Australian Prime Minister Scott Morrison was more outspoken about Erdogan’s response, but he also toned down his protest after the Turkish president’s adviser said Erdogan’s words had been taken out of context. If properly managed, Turkish-Australian-New Zealander friendship may emerge stronger from this crisis.